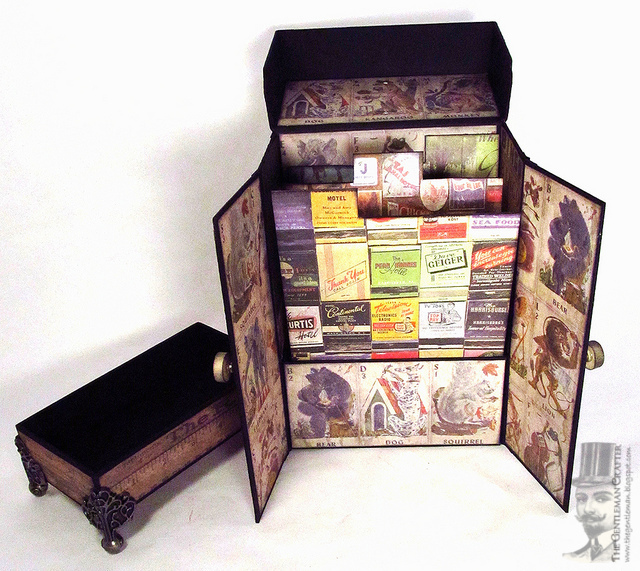 The Gentleman Crafter: Mama Nell's Greeting Card Organizer! Hope you like it. It's going to be a 2 Part Project or shall we say mini-series! One show to make the box and the next to cover and embellish it. Or at least that's what I'm thinking! LOL! 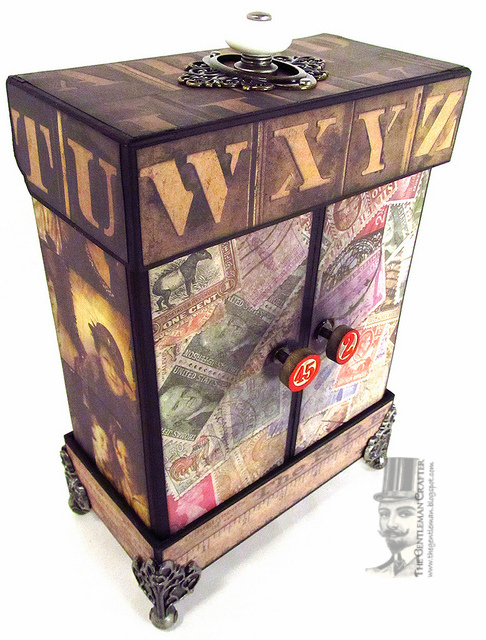 For The Gentleman Crafter's Ustream Channel Click Here! Jim, this organizer is WONDERFUL! I didn't make the u-stream a week ago so I didn't get to see it. I'm excited and definately am going to make this one! Thanks so much, your AWESOME!!!! Cool project! Thank goodness you mentioned it would be a miniseries - I was hyperventilating for a moment there. See you tomorrow. Of course I like it - I LOVE it, Jim! So very well thought through and executed! Paper crafts at their best!!!! Love it. See you tonight. Looking forward to it. Prob won't be able to stay on the whole time. Crossing my fingers Ustream is up to speed for tonight! I made 4 boxes this week (okay 1 is finished, the other 3 are just the shells), but they have been fun! Thanks for the info Jim! I have to work, so I don't think I will make it! I hope that you record it so I can caught up later this week! A two part mini series sounds awesome! I can't wait to see how make this beauty! You Rock! Have a fabulous day!!! Wow...this is wonderful! I love your creations, Jim. I wish I could stay up late enough to join you on U-Stream, but because I am up at 5 most mornings, I just have to get in bed by 8EST. I know I'm missing out on a ton of fun. Beautiful project! oooooo....love the base!!! Glad you had some feet!!!!! see ya tonite!!!! LOVE IT!!! I think I have everything I need to finish mine and make the base. The only thing I don't have it something for the top...shopping opportunity...LOL!! I love it!! Another fabulous project!! Can't wait!! So sad I will be sleeping, gonna have to play catch up so PLEEEEEEZ record this one! oh my! I will try my hardest to remember! I really, really want to watch you do this one! OK so I missed it - I get your blog and reminder five hours AFTER the event! Great! Oh well gonna have to try to remember part two! I TOO MISSED IT AS I ALWAYS GET THE EMAILS FROM ALL THE BLOGS I SUBSCRIBE TOO LATE. I WILL WATCH IT AS I LOVE THE PROJECT AND ENJOY YOUR USTREAM SHOWS-TOO FUNNY! Wow, that is just gorgeous!! Personalized Greeting (customized with your text message or photos) are the best possible ways to express your love and appreciation for others in an inexpensive way. It always strengthens the bond between people. I deleted my car decomp as they're debatable as you mentioned. Also ensure you update your intake boot into the layout including all the alloy clamp. The plastic intake clamps have a reputation for loosening and causing an air flow that will burn off the Saw down. Last, there's an noodle update kit to your carburetor in the event you've obtained the Walbro. At case that you've got the Zama carbohydrate I think you're fine.